Look you’ve got to stop posting these pics on Facebook–the ones with the black bands at the top and the bottom. 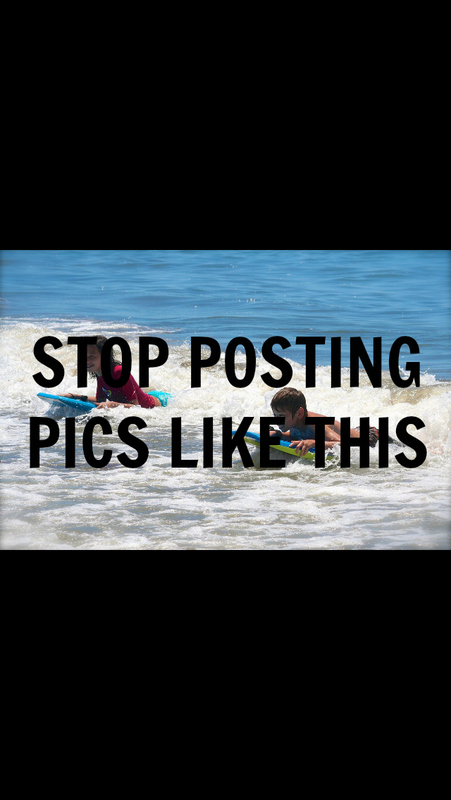 (This also applies to Instagram, Twitter, Tumblr, and any other place smart phone pics are accepted.) Apparently you learned how to take a screen capture with your phone, but you didn’t learn how to save a photo from email, text, or the web. It isn’t that hard. Simply tap and hold the picture until the menu appears that says “Save Image”. Select that. Now the picture is in your camera roll–the full size original image, without those black bands at the top and the bottom. Just a tad bit different. Click on that picture in messages you want to take a closer look at. See that icon in the upper right-hand corner of the screen, the box with the arrow coming out of it. That is the sharing button. Select that and you will get to choose from a whole options including save image (to your camera roll) or even post directly to Facebook or Twitter. Now why might you want to go to this added trouble to save the photo rather than just take a quick screen capture? The main reason is that you will save (and then repost) the full quality image. When you take a screen capture you are likely creating a lower quality duplicate of the photo in question. When that image is reposted to Facebook or where ever it will not look as good as the original and if enlarged will appear pixelated. Not to mention the dumb black bands at the top and the bottom. If you insist on continuing to take screen captures, then at least crop out the black bands before posting. To crop a photo on an iPhone, simply open that photo in your Photos app. In the upper right-hand corner of the window you will see the word “Edit”. Select it. Then in the lower right-hand corner select the cropping tool. Adjust the size of the crop area and select “Crop”.